Ashley were manufacturers of fibreglass components for “specials” in the 1950s. This involved the removal of a cars existing car bodywork, replacing it with a GRP sports body. Thus giving the owner a “new” car, or a “special”, as they were more commonly called. Ashley also supplied GRP components for the likes of BMC and Jaguar and were noted for producing the fibreglass bonnets for the Austin Healy Sprite. Founded by Peter Pellandine and Keith Waddington in 1955, Ashley also specialised in supplying a wide range of parts for specials builds. And one of their most noted cars was the Ashley Sportiva GT. Ashley began to offer customers GRP body shell designs which led to the Austin 7 based 750, the Sports Racer and the Ford Anglia/Popular based 1172. In 1961 they launched the Ashley Sportiva GT. Offered as either a two or four seat body shell that came with or without a chassis and it was based on the 1172. Customers had a choice of either an open top or fixed head coupe bodyshell. 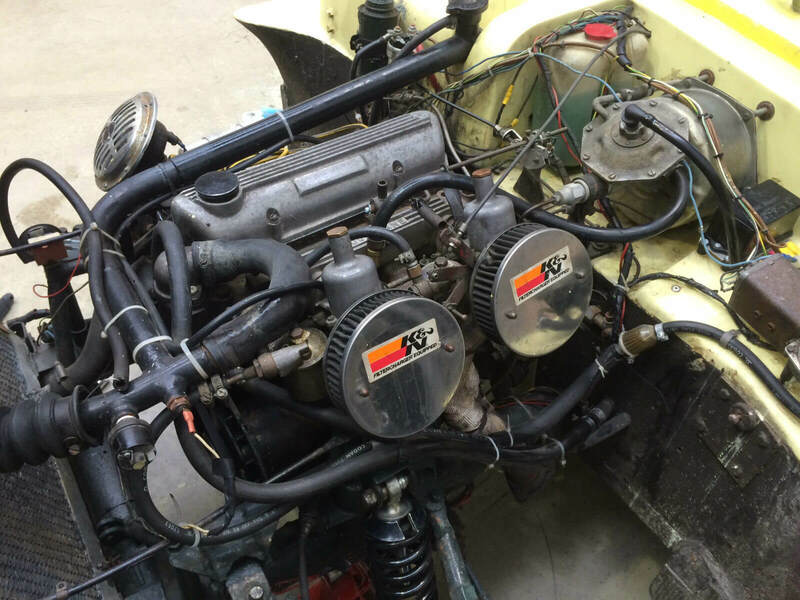 A wide range of engines were offered and included Ford Prefect, BMC A-Series and MGA engines. The Sportiva also had a hinged one piece bonnet like on the Jaguar E-Type. Production of the Ashley Sportiva GT was short-lived and ended in 1962 following the collapse of the specials market after a change to UK sales tax rules. 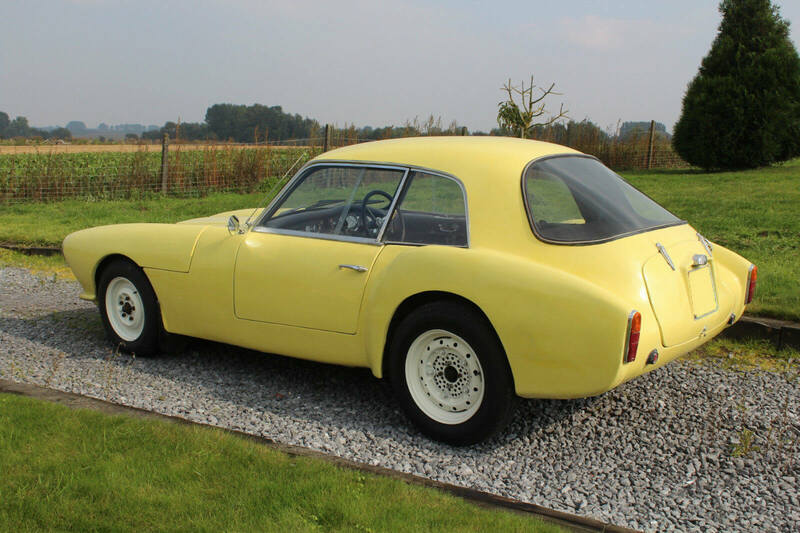 Offered for sale is a 1962 Ashley Sportiva GT in original yellow. The car is described as being in good condition and is running a Ford 1500cc engine which is said to have good oil pressure and doesn’t smoke. It also has a four speed manual transmission. 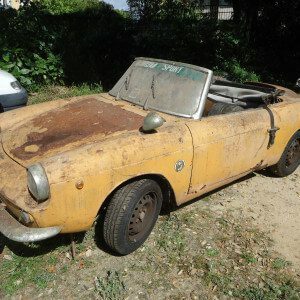 No other details are provided on the cars mileage, its history or how it came to be in Belgium. The Peerless GT link front end and air scoup make this Sportive look like it has a larger engine than it does. The rear wings that take their cues from the MGA. Those white wheels don't suit the car really. 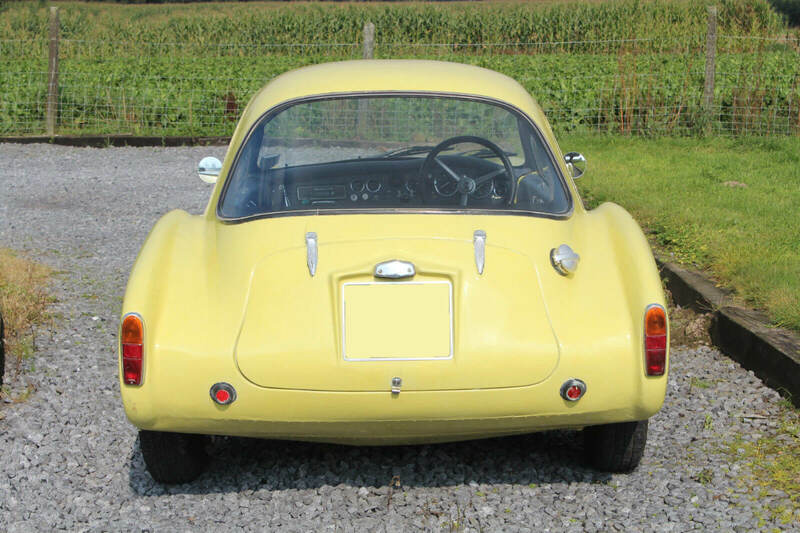 The rear has a mix of Austin Healey about it. That window is very big! The interior is pretty spartan like on the MGA. If that is a storage box you could convert it into a cooler box? We doubt the Ashley chassis could handle anything larger than the 1500cc engine. This Ashley Sportiva GT is one of the rarest and most unusual cars we have featured so far on Take to the Road. Prior to stumbling across the listing we had never heard of Ashley before. Reading through the history of the company, they are a classic example of a small British automotive manufacturer, who created components for the bigger car makers, whilst at the same time offering their own designs and custom builds. This Sportiva GT looks to be in good condition with a few small marks evident on the GRP bodywork. Due to the nature of 1960s fibreglass construction, grazing is always an issue, so a close inspection of the bodywork to check for cracking would be recommended. When we first saw this car we immediately thought it was a Peerless GT due to the style of the front end and the long bonnet. The rear wings remind us of an MGA and would imagine if the hardtop wasn’t present, this Sportive would also look like an MGA, at a glance. 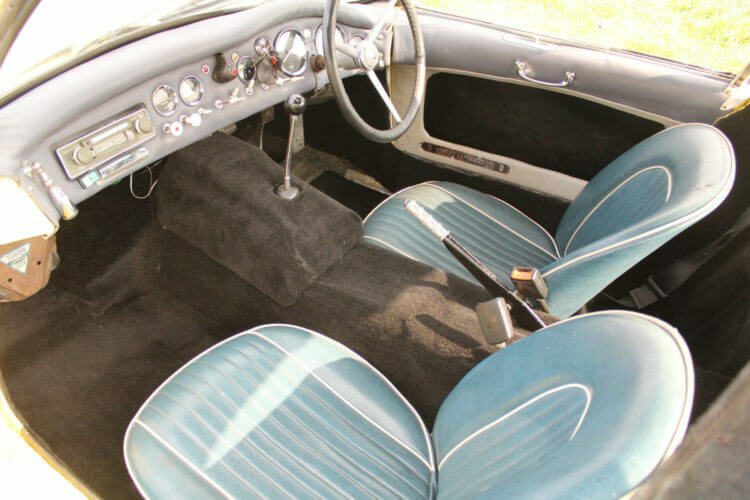 The interior appears to be a mix of parts from different makers, the seats particularly looking very much like those found in a Jaguar XK 140 or a Daimler V8 250. The dashboard has a similar layout to an MG Midget/MGA with the radio located on the far left. There are a greater number of dials and buttons compared to the Midget however. The dash pad leather/vinyl appears to be lifting slightly in a few places but apart from that the cabin presents well for a 1960s hand built car. A Tudor car heater is located in the passenger footwell, a little bit of comfort for those cold morning runs. 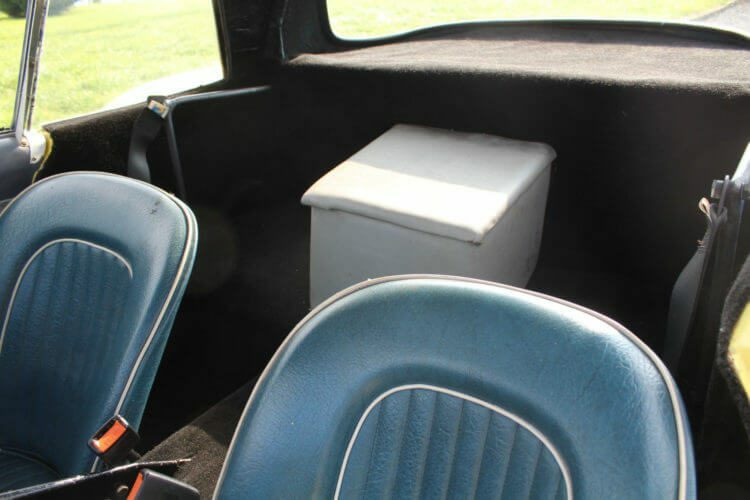 There is also an unusual box on the back seats which actually look more like a bench than useable seats. We assume the box is for storage. In the engine bay, the Ford 1500cc is running twin SU carbs. Its presentable but could do with some detailing. 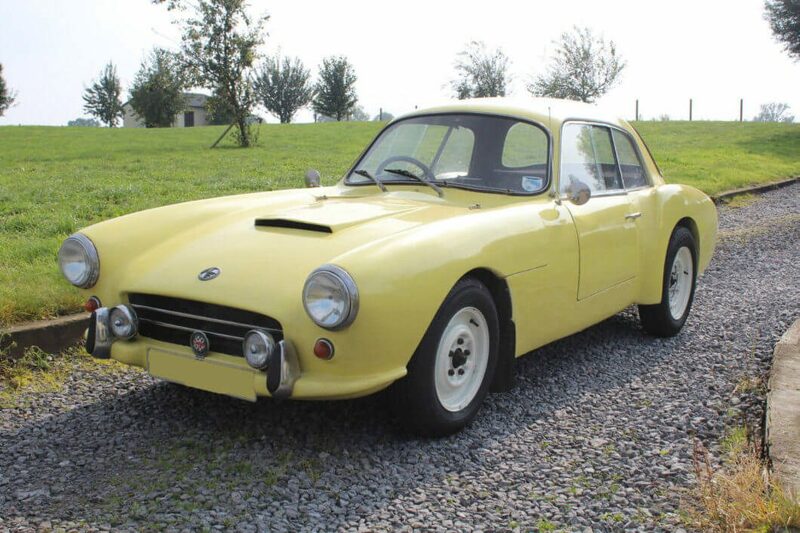 As rare 1960s GRP British cars go, this one ticks all the boxes. It is a bit of a strange one though with the hardtop looking out of proportion with the rest of the body. The rear window also looks too large, making the rear end seem very wide. We think design would probably have worked better as a convertible like the MGA and it would be interesting to compare a convertible Sportiva with a GT, if any have survived. Some wires wheels would also make a huge improvement over the current white steel wheels. Despite these criticisms, this Ashley Sportiva GT is an interesting slice of the British car industry in the 1960s. And the chances of another Sportiva GT parking along side you at a car show would be very slim indeed. This Ashley Sportiva GT is located in Belgium and the starting bid is £7,450. This 1962 Ashley Sportiva GT looks great, I have been following it and many other like it around for a few years now as I built my own Sportiva back in 1962. In the past years I have been building up a Historical Archive of the Ashley Marque and I have the only ASHLEY LAMINATES SPORTS CAR Registration Index Archive. 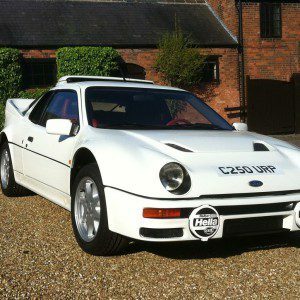 I also list Ashley Cars “For Sale” as a free service if any of my listed cars come onto the market or if I’m contacted by Ashley owners. If any of you out there know of Ashley’s that are not listed in my archive or own your own Ashley I would be very pleased to hear from you and learn the history of it. Hi Ivor, thanks for your comments and for the details on the Ashley register. Good to know someone is keeping an eye on these rare cars! If you need any help spreading the word let me know. Hi Niall, well that was almost 12 months ago and that Yellow Sportiva is still for sale, did you ever put any other Ashley articles on this site and did “Just British” pick up on your Ashley article? I’m still adding more Ashley survivors too and updating my websites. Thanks for getting in touch Ivor. I will drop you an email.